I recently spent some time collaborating with Dr Lucas Wilkins, a researcher at the University of Sussex, helping him to visualise the bee vision colour spaces he has been working on. He wanted to be able to show the three dimensional models as a plysical object and 3D printing them is the obvious choice. As a 3D printing problem the shapes are interesting because they have no straight lines or flat surfaces, all edges and curves, the "bottom" and "top" are sharp points. After considering printing them with support we tried a simpler option first - slice them in half and then glue them back together with acetone vapor post processing. 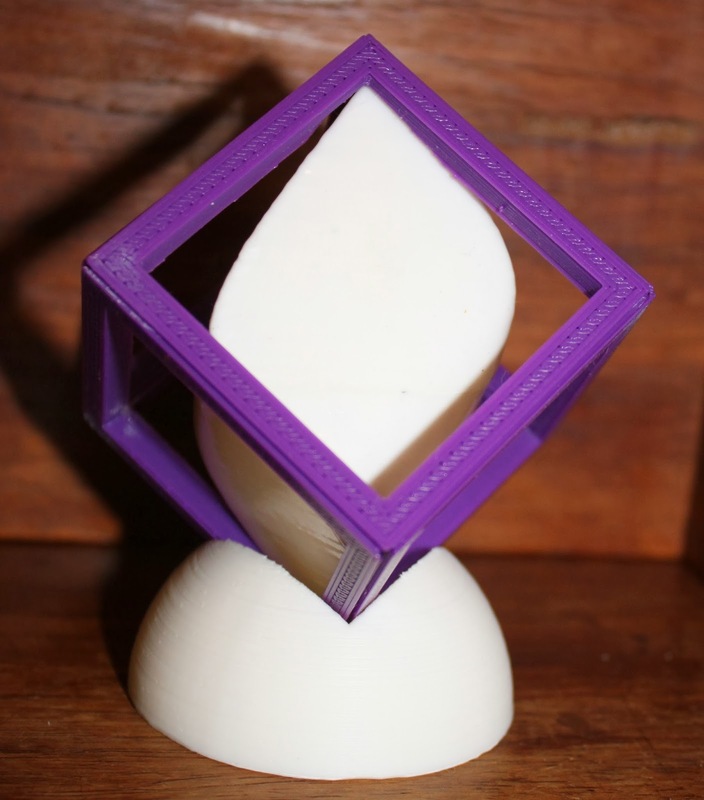 After successfully printing the colour spaces we used OpenSCAD to create frames ( in purple PLA in the photo above) by subtracting the colour space shape from the frame for a secure fit. The details are here in his blog which also gives the links to information about colour spaces and what they are. All the printing was done on our new Lasercut Mendel90, which will be available from our webstore shortly.